Excellent news came to us this March from New York. 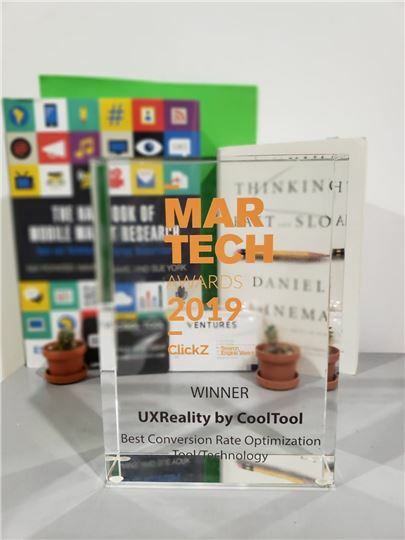 We’re excited to announce that our new usability testing product UXReality app has been named the Best Conversion Rate Optimization Technology at the respected The Marketing Technology Award 2019 hosted by ClickZ & Search Engine Watch. The Marketing Technology Awards honor the brightest and most innovative companies and products that change the marketing industry. The event took place in Tribeca, New York on March 21, hosted by Scott Brinker (of chiefmartec.com, one of the creators of those incredible martech landscapes you may have seen). The Marketing Technology Award involves a global community of more than 1.3 million senior digital marketers and top brands representatives. In 2019 there were more than 500 entries submitted, and 2,000+ people voted from top companies around the world. 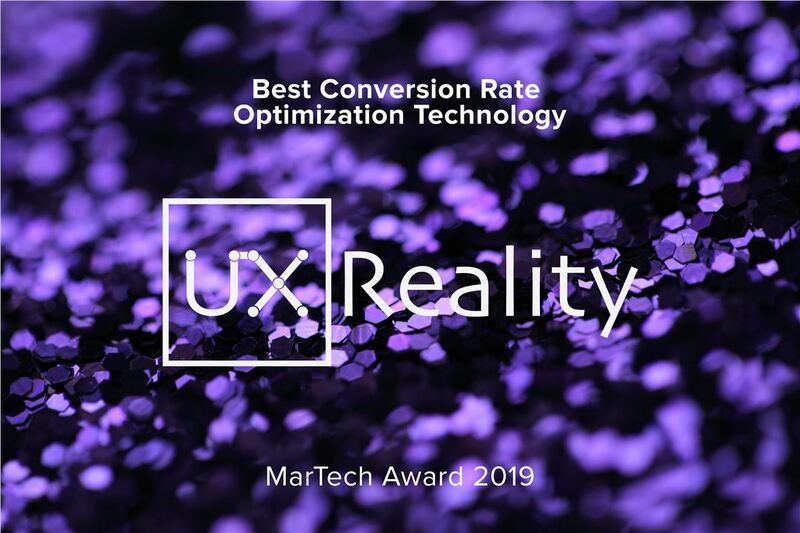 UXReality was recognized as the Best Conversion Rate Optimization Technology of the jury presented by HubSpot, Microsoft, Pinterest, MacKinsey, SAP, etc. This award consolidates our leadership in the UX mobile testing industry and proves the completeness of our solution. UXReality is an outstanding solution that represents the newest tendency in mobile UX world. It is an inclusive app for creating your own universe of user insights while interacting with mobile sites and apps. It helps to create an awesome digital experience by seeing through users’ eyes, understanding their feelings, knowing what they say via one AI-powered app for getting mobile behavior insights. UXReality is the first solution in the world that literally turns any smartphone into a fully-featured tool for studying user behavior as close to reality as possible. One app replaces bulky and expensive usability lab and helps to understand how people really interact with a mobile website or app by knowing what they see, think, and feel. It has all needed tracking features such as heatmap, gaze plot, emotions, voice, scroll and click recordings with AI-powered webcam Eye Tracking, Facial Coding, and feedback surveys. More information on The Marketing Technology Awards can be found here. For more information on our UXReality solution, go here.